Child custody orders are not enforced in Japan. There is merely a provision for a fine, but it is usually de minimis and rarely employed. It does not impede a parent with physical possession of a child from denying the other parent access to the child. This is one reason (among several) why child custody is not shared in Japan and why visitation provisions are usually limited to short, periodic and often supervised meetings, unless the parents are genuinely agree to provide otherwise. There is no court-ordered international visitation in Japan and overnight visits are rarely ordered unless the parent who possesses the child willingly agrees otherwise. 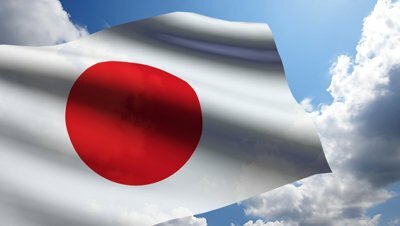 In July 2017, the Supreme Court of Japan issued a ruling in a custody case between two Japanese parents living in Japan. It overturned a most unusual and provocative lower court ruling that had provided for extensive visitation time for the father. Indeed, the Supreme Court ordered sole custody for the mother and adopted her proposal to permit the father to meet the daughter only once a month, since that was frequent enough for an elementary school student and more time with her father would be unduly burdensome on a child. The case was commenced seven years earlier, during which the mother had allowed the father to meet the child only six times. The decision to permit visitation of not more than once a month, and then only for a meeting, not for an overnight visit, is normal and typical in Japan. When Japan agreed to adopt the Hague Abduction Convention, which provides for the court-ordered return of internationally-abducted children, the Government was required t o make provision for the first time for enforcement of such orders. Accordingly, certain Japanese family lawyers worked extremely hard to draft enforcement measures that would, for the first time, lead to the enforcement of the terms of a Family Court order concerning children. However, their initial proposals were significantly diluted, and while the Diet ultimately adopted an extraordinarily lengthy enabling act bringing the Hague Abduction Convention into Japanese law, its provisions concerning the enforcement of Hague Convention return orders have proven to be unworkable. Thus, in a case in Osaka in which the Osaka High Court ruled that four children, whose Japanese mother had abducted them from the United States, must be returned to their American father in the U.S. The father ultimately prevailed on so-called “enforcement officers” from the Nara District Court to make some efforts to enforce the return order, but when the mother refused to cooperate they declared that enforcement was not possible. Early this year, the Osaka court reversed its original return order and authorized the mother to retain the abducted children in her sole custody in Japan. Just a few days ago, an advisory panel to the Japanese Justice Ministry proposed that some enforcement measures beyond mere fines should be enacted in order to enforce orders in domestic custody cases, and it suggested that, after public comments, the matters could be submitted to the Japanese Diet “as early as 2018.” Whether any such law will ever be enacted is entirely uncertain. And whether any enforcement measures that are enacted will themselves be enforced in practice is even more uncertain. In the meantime, the basic approach continues, whereby Japanese child custody cases merely “rubberstamp” the principle that whichever parent has physical possession of a child may in practice decide whether or not to allow the other parent to see their child. And since physical possession means everything, parents who do not fully trust the other parent to return the child are necessarily reluctant to part with possession for even a day, which explains why visitation in Japan is generally limited to intermittent short supervised daytime meetings in a secure location. * Jeremy D. Morley, an international family lawyer in New York, who works with family lawyers throughout the world. He is the author of two leading treatises on international family law, International Family Law Practice and The Hague Abduction Convention. He frequently testifies as an expert witness on the child custody law and legal system of Japan and other countries around the world.